The United States Department of Justice recently released statistics from the 2017 fiscal year, which includes more than $3.7 billion in settlements and judgments from civil cases involving fraud and false claims. Total recoveries since the False Claims Act (FCA) was strengthened in 1986 now top more than $56 billion. Of the $3.7 billion, $2.4 billion involved the health care industry – hospitals, pharmacies, laboratories, physicians, and drug companies. This is the eighth year in a row where settlements and judgments related to healthcare fraud have exceeded $2 billion. Of the recoveries noted, this dollar amount is for federal losses only. Many of these cases included millions more for state Medicaid programs. The cases involving healthcare fraud involve a variety of health providers, goods, and services, and the settlements and judgments help restore assets to critical programs like Medicaid, Medicare, and TRICARE. The aggressive stance on pursuing healthcare fraud also sends a message to potential fraudsters who hope to cheat the system for profit. Another area covered by the Fraud Claims Act is housing and mortgage fraud, with settlements totaling over $543 million in the 2017 fiscal year. One of the biggest awards in 2017 was against Allied Home Mortgage Capital Corporation and Allied Home Mortgage Corporation, who were found by a jury to have violated the FCA and the Financial Institutions Reform, Recovery, and Enforcement Act of 1989. The jury awarded the government over $296 million. Procurement fraud cases also netted a portion of a $95 million global settlement against Agility Public Warehousing Co. KSC, a Kuwaiti company. This was paid to resolve civil fraud claims, as well as to forego administrative claims from the US seeking another $249 million in payments for military food contracts and more. The suit alleged Agility knowingly overcharged the Department of Defense (DOD) for produce used by soldiers in Kuwait and Iraq after failing to disclose and pass along discounts and rebates they received from suppliers, which is required by contract terms. Of the $3.7 billion in settlements and judgments, $3.4 billion related to qui tam lawsuits, or whistleblower suits, that fall under the False Claims Act. During the 2017 fiscal year, the government paid out $392 million to those individuals who exposed the fraudulent and falsified claims. The number of qui tam lawsuits filed has also increased since 1986, with 669 qui tam lawsuits filed in 2017, which is an average of more than 12 cases each week. The enhancements made to the False Claims Act helped encourage whistleblowers to come forward with any fraud allegations, and then the Fraud Enforcement and Recovery Act of 2009 further strengthened the FCA and applicable whistleblower provisions. 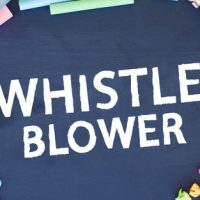 Federal law provisions for whistleblowers were enacted to help more people come forward who would otherwise fear retaliation from their employers. To be protected under the provisions, the employee must have a “good faith belief” the employer is violating the law. Some state laws also protect employees against retaliation or discrimination in connection with whistleblower claims. If you’re working for a company or government contractor where you feel fraudulent claims are being submitted, you need a skilled qui tam litigation attorney to guide you through the whistleblower process. Please contact the team at McCabe Rabin, P.A. in West Palm Beach today for a consultation.